What do you do when you get lost on your journey? People get lost on their journeys all of the time. What you do when you get lost says a lot about you as a person. Many mushers get lost along the trail. Getting lost doesn’t always mean you fail, it teaches you many new things. Today I met five siblings who were recently lost and eventually found. Their story is incredible. On May 19, a fire started on the Kenai Peninsula near Funny River road. The fire spread very quickly. The damage was well over 150,000 acres of land. Read about the fire in this article from the Anchorage Daily News. This is another article from Anchorage Daily News. Many people were evacuated as a result of this fire. The five siblings I met today were victims of this fire. 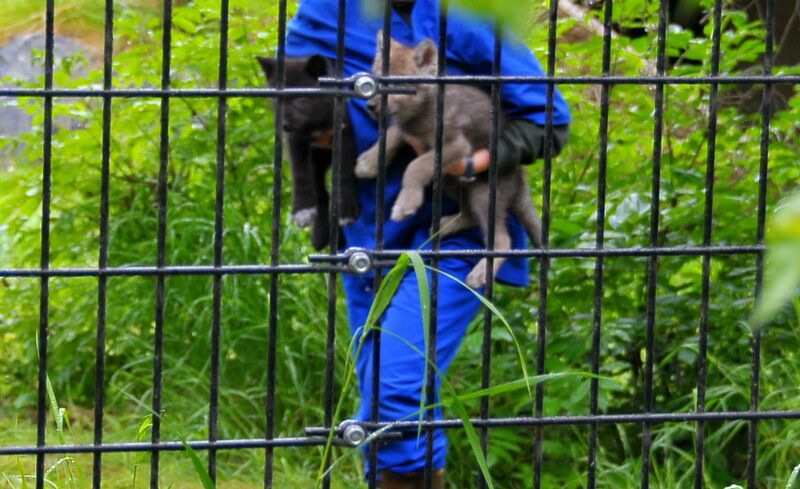 These five victims, 3 brothers and 2 sisters, were 2 week old wolf pups. Firefighters rescued these pups when they came across their den. The firefighters immediately went in the den to bring the pups out. When found, they had been injured by a porcupine, severely dehydrated, and extremely hungry. However, they were alive. These pups were alone, away from mom and dad, and lost on their new journey of life. Everyone, including the pups, was bound and determined that they survive. 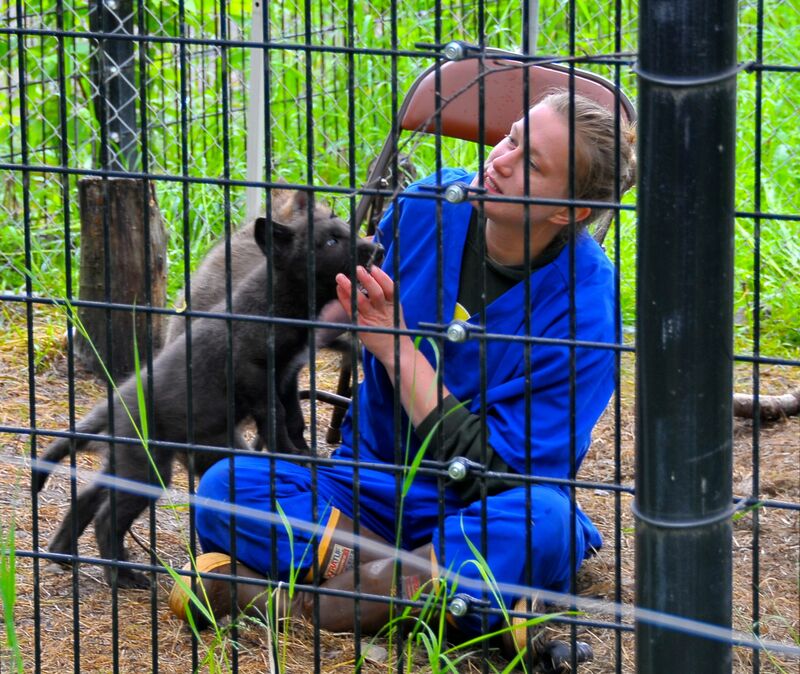 The pups were taken to Anchorage to be taken care of, and currently are living at the Alaska Zoo. All five are healthy, cuddly young pups. We were able to see the pups today during playtime. They are so adorable and loveable that you just want to take one home. However, this is impossible. Even though these pups will be raised completely by humans, they will never be able to be domesticated. They will always have the wild instinct within them. These pups are a reminder that we can overcome obstacles in our journey. They were 2 weeks old when they lost their mom and dad. They were 2 weeks old when their home was burning up all around them. It would have been very easy for these little guys and gals to give up. They chose to live, and with that they now have a new exciting journey ahead of them at the Minnesota Zoo. Check out this exciting article from the Huffington Post about the pups’ rescue. Music provided free by iMovie service.